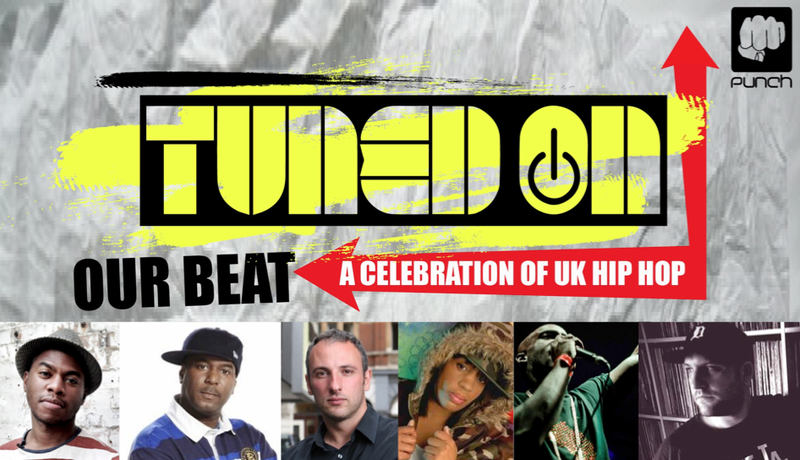 Rodney P, DJ 279, Paul H, Phoebe One, Spin Doctor joins forces at The Roundhouse as the esteemed panellists for a Tuned On special. As part of Black History Month, Punch Records & The Roundhouse bring together some of the pioneers of British Hip Hop for a celebration of the UK scene’s contribution to the world’s biggest musical genre. Featuring some of the leading pioneers in the genre includes the likes of artist Rodney P, acclaimed radio and club personality DJ 279, artist and DJ Phoebe One, photographer Paul H and founder of ‘The Doctors Orders’, Spin Doctor. Expect to be inspired, as they share their crossover influences, contributions and experiences that put the UK Hip Hop territory on the map. Hosted by journalist, producer and hip hop connoisseur Fusion with support from renowned Hip Hop radio Itch FM and “The kings of the capital Hip Hop – scene” The Doctors Orders, this free music seminar will be a unique opportunity to hear first hand stories about the UK Hip Hop evolution over the last 20 years, how the scene has changed and the direction of its future.